As more children and adolescents are involved in sporting activities, the number of injuries to immature knees rises. We will focus on three entities: ruptures of the anterior cruciate ligament, patellar dislocation, and meniscal injuries. 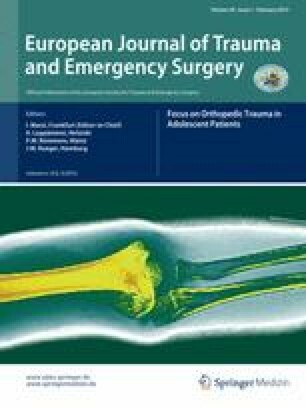 There is a trend in recent literature toward early reconstruction of the anterior cruciate ligament in children and adolescents. In this article, we will try to highlight the anatomic specialities and the diagnostic steps toward the correct diagnosis, review technical considerations and risks of the different surgical techniques, and present outcomes and offer a treatment recommendation. The treatment of patellar dislocation has changed considerably since we gained a better understanding of the unique anatomy of the patellofemoral joint. We will show diagnostic steps and risk factors for recurrent patellar dislocation, discuss conservative and different operative therapy options, and present a modified technique to achieve a dynamic reconstruction of the medial patellofemoral ligament without damage to the growth plates. Meniscal tears and discoid menisci are rare in comparison to the other injuries. We will herein explain what specialities in the anatomy should be considered in children and adolescents concerning the menisci, and present the diagnostic steps and treatment options available. J. Hoetzel, A. Preiss, M. A. Heitmann and K. H. Frosch declare that they have no conflict of interest.